This entry was posted in Local business, Looking back, People, Police, Saugatuck, Transportation and tagged Hiawatha Lane, New York New Haven & Hartford Railroad, Summit Saugatuck. Bookmark the permalink. Lots of history in that neighborhood. 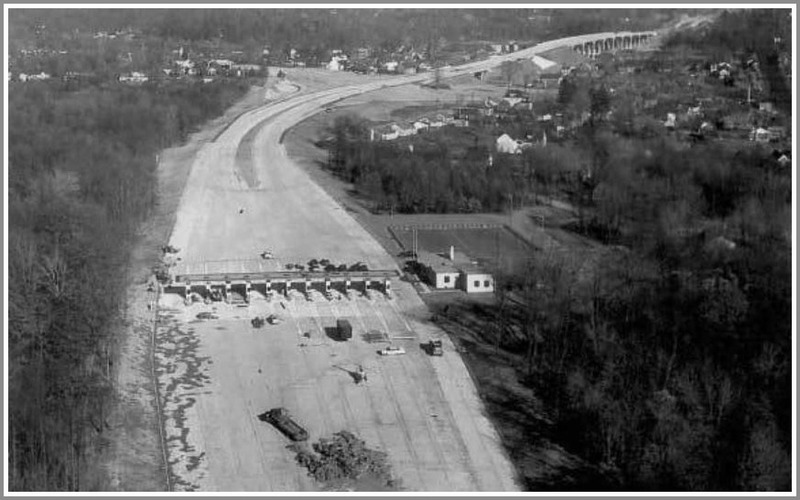 If I recall, quite a few of the houses were actually moved out of the way of i95 in the 50s instead of being destroyed. If the deeds were in perpetuity, why is this even being considered? Save Old Saugatuck…..a community, not a commodity. Westport is becoming overdeveloped.. we are losing the small town charm. When is enough enough? Nice piece – The point about Old Saugatuck already being an affordable area is important. This is why the developer is there. They took advantage of the affordability to buy 10 houses. They made a business decision that backfired when the town 15 years ago said no to building the original condo project. And 3 times since they continued to say no. The developer is taking advantage of 8-30g to now propose a mind boggling 187 units. This is not about creating affordability, but instead profitability. They are destroying affordable housing to create a huge number of market rate units to finally reap their profit. They made a bad business decision and are now using a law to put it back on us. But they have problems, and rightly so. They have issues with those deeds, they have issues with the ownership of the road Hiawatha Lane and they have healthy and safety issues especially with no secondary access to this massive project at the end of a road. Come on out on Thursday night 7pm at P&Z and support your neighbors as they literally try to save their neighborhood. This isn’t about one project, this is about the thin edge of the wedge ultimately flattening what is there and replacing it with a massive amount of housing long term. You want to see more traffic, overcrowding of schools and beaches? Hiawatha will only be the first of many of these in this same area. Future development will be based on the existence of this one and Old Saugatuck will be lost. In the early 70s, I lived on Dr, Gillette Circle in one of three houses that were moved ‘down from the hill’ when I-95 was built. Tucked away down a long dirt driveway off of Hiawatha Lane, it remains to this date, the most favorite place I have ever lived. I could lie in bed and see the Norwalk Toll neon light blinking in the dark. I could hear the trains on the other side of the parking lot. And there was something comforting about it. Tranquil. And the people that lived in DGC and the surrounding neighborhoods were quiet, polite, gentle and generally the kinds of people I wanted to live around. I drove up there the other day. DGC has been gussied up, the driveway paved, decks built onto the first floor apartments. But it’s still cozy. I cannot imagine what a 187 unit housing project would do to this area, not to mention the pretty much one+ lane access up the hill to get to it. And, so much for in perpetuity. As much as I would like to see ‘low income’ housing in Westport (so I might be able to move back), this is NOT the place for it. There are many issues here. Unanswered questions about road ownership and existing deed restrictions. Fire department access, the destruction of a free market affordable neighborhood, increased stress on education and other public services. This is 830G gone bad! The legislative majority in Hartford refuses to take a common sense approach to their vision of affordable housing and surprisingly they continue to get re-elected. 8-30g was explicitly designed to prevent the loss of Hiawatha Lane and the Saugatuck community by making it obvious to commiunities what would happen if they didn’t save room for their local heritage. Just saying… For the record: I and my direct family members, alive and deceased, are to my knowledge in no way related to Julia Bradley. A relationship was assumed by many in the years I lived in Westport. I was asked the question “are you related to Julia?” numerous times; actually, I never even met her. My father, J.K.B. and grandfather, J.P.B. 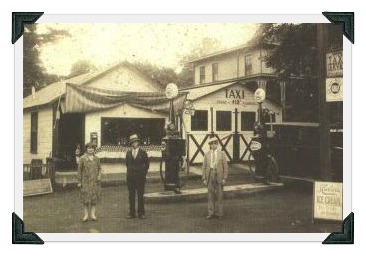 were direct descendants of David Bradley who owned and farmed at 1 Apple Tree Trail (David’s farm ran from the Minute Man to the end of South Compo Road at the Sound, then all the way down Soundview to the cannons on Compo Beach and south from the Minute Man to what is now Compo Basin, until the beach property was taken from him by the town in 1902.) That’s how my grandfather and father ended up in Owenoke, other nearby land, also part of David’s farm. Owenoke at that time provided the family with salt hay, a valuable crop in the day – much of Owenoke was filled to create homesites. Fred Lewis of Longshore fame was also a part owner of Owenoke before my grandfather Bradley purchased the Lewis property there. My Bradley family lived in or built 9 houses in Owenoke over many years. Rindy Higgins lived in one of those houses. I was the last Bradley to live in Owenoke.